Sterling Children's Books, 9781402771194, 32pp. 1 caveman + 26 letters = wild and wacky ABC fun! When a caveman and a squirrel try to grab an ACORN for dinner, a big brown BEAR chases them into a CAVE. But then a DINOSAUR comes out and goes after them all! What else will happen in this hysterical, prehistorical story? The slapstick hijinks go from “A” all the way to some cuddly, friendly “ZZZZZs” and a sweet goodnight. 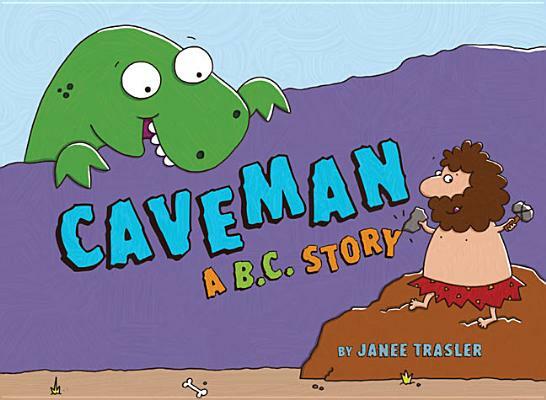 Janee Trasler's whimsical illustrations have appeared in books, magazines, newspapers, billboards, cartoons, products, and the occasional cave wall. She lives in Grapevine, Texas, with her husband and two dogs, Bucky and Max.